In an interview with Business Live the director of the Commission for Conciliation, Mediation and Arbitration (CCMA), Cameron Morajane, says that a lack of consultation with the statutory body has led to flawed minimum wage legislation, which will hinder its implementation. Morajane commented: “We have the experience. We could have given practical examples of what will or won’t work. We should have been brought in when it was being debated at Nedlac. We should have been asked for our view at the time of engagement. Not at the bill stage”. 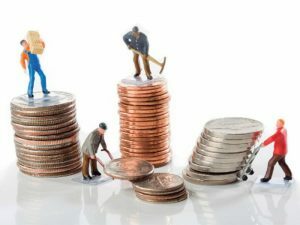 The National Minimum Wage Act was implemented on 1 January and already the CCMA, which Morajane says is understaffed and underfunded, is under pressure. Between 1 January and 28 January, 824 minimum wage cases were brought to the CCMA, with the employees stating they were not getting the minimum wage the government had promised them. Morajane says this figure reflects only those who were paid on the 15th of the month and saw that their employers had not adjusted their pay to the R20 minimum hourly rate, which is now compulsory. Once wage earners are joined by those who are retrenched because of the minimum wage, Morajane expects a “flood” of cases. On weaknesses in the legislation, he indicated: “We need a synchronised system between the CCMA and Department of Labour around exemptions and the cases we do, and we must exempt minimum wage outcomes and awards from being subjected to protracted legal processes such as reviews”.